The good news is that the Maison Consulting team delivered the first phase of the system on time and to budget after an intensive six months’ engagement commencing in March 2015, justifying his faith in the pathway chosen. 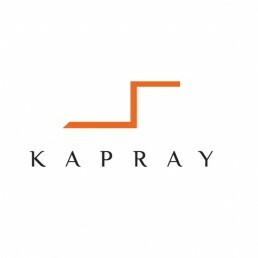 KaprayOnline with retail ERP solution that will help enhance their customers’ shopping experience and will also help cater customer needs at best. Now with more insight on their customers, KaprayOnline will operate with more agility, exceed consumer expectations and build an enduring loyalty of their customers. Our vision is to empower enter prise and midsized retailers to be dynamic by delivering that complete shopping experience with a seamless and differentiating solution for point of sale (POS), Omni-channel management, store operations, e-commerce, merchandising, financials, supply chain, and more. Maison’s Retail Team with their experience guides you across point of sales (POS), multi-channel management, store operations, merchandising, supply chain, business intelligence and more, for full visibility across your entire retail business, while turning data into insight and insight into action. Pan Gulf holding is a company that strategically diversified into independent subsidiaries and operating affiliate companies, employing professional staff throughout the Middle East. Pan Gulf’s creativity and innovation in developing and taking new products to market is only the beginning. 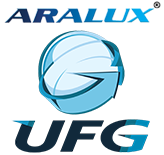 The unique combination of practical experience, business management, research and design have provided the foundations for Pan Gulf to spread from our original Dammam base to service the entire Kingdom of Saudi Arabia in such fields asSteel, Building and Plumbing materials, Food stuffs, Steel fabrication, Valves & Piping systems, Fire Safety & security , Welding solutions and custom made Grating fabrication products. Maison has implemented Microsoft Dynamics AX 2012/2009 across Pang Gulf Holding and its subsidiaries which have different nature of business with 2500+ system users. During the implementation, Maison added a professional approach to project management and helped us to achieve “more with less” by being flexible in terms of covering requirements outside project scope. Naeem Sarwar, Group ERP Manager – Pan Gulf Holding. 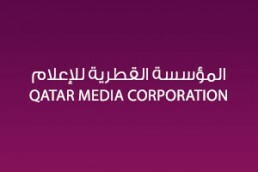 “Media Giant Gains Better Business Visibility and Control Using an ERP Solution. The deployment of Microsoft Dynamics AX 2012 has enabled our managers to have better control of our business operations, activities, and resources. QMC searched for an enterprise resource planning (ERP) system and evaluated potential solutions, including Oracle, which had been used for HR, and accounting by one of its merged business entities since 2000. For us, Microsoft Dynamics AX 2012 appeared to be a better choice because of its ease of use, integration, and customization features which are not present in Oracle solutions. Microsoft Dynamics AX is also open, so you can develop whatever you need, Says Waleed. The Aman Foundation is a local, not-for-profit trust, based and operating in Pakistan, born out of the belief that Pakistanis must take the lead in solving Pakistan’s problems. The Aman Foundation aims to champion dignity and choice for the underserved, focusing on Health, Nutrition and Education through direct intervention; aspiring to derive scalable, sustainable and systemic change in Pakistan. Healthcare- Development and implementation of healthcare systems ranging from Emergency Medical Response, Community Health Workers, and Tele Health initiatives to Mother-and-Child Hospitals. Education and Skills – A Vocational Training Institute designed to transform unemployed and untrained youth into productive members of society and the Teach For Pakistan Program, a nationwide movement of graduates and young professionals that commit two years to teach in under-resourced schools. Aman Foundation believes in digital transformation within its system it has gone through a complete thorough process of building vocational education management system and implementation, which was well executed by Maison at Microsoft Dynamics platform. This has allowed us to increase the productivity of employees, offer better student, faculty and sponsor management services, gain better business intelligence in real time and to find inefficiencies in the system. AL Abdul Karim Holding Company is one of the largest importers and distributors of electrical materials in the Kingdom of Saudi Arabia. Since its formation in 1973, Al Abdul Karim Holding Co. has continuously dominating the market as the Most Highly Sales Performance Awardees from major world leading manufacturers and suppliers with a complete range of electrical materials. 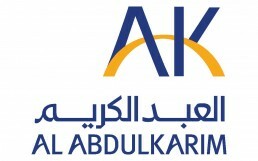 After it had earned successful business and growing continuously Al Abdul Karim Holding Co. has modernized its wide range of diversified products in the field of Communications, Instrumentation and Lighting materials with extensive usage of Microsoft Dynamics AX. Leading Saudi Arabian group Yousef Al-Rajhi Global needed new business management software to support its expansion plans. It chose Microsoft Dynamics AX 2009, and, as a result, has improved inventory controls andautomated sales, purchasing, financial management, and production. The group has recorded productivity gains of up to 25 per cent. 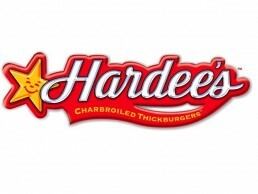 Fast food chain and domestic appliances manufacturer Muhammad Din Sons Limited wanted a business management solution for its expanding interests in Pakistan. Having considered systems from Oracle and SAP, the company standardized on Microsoft Dynamics AX 2009. Stock levels are managed more effectively, and accuracy in specifying materials requirements at the factory has improved by 400 per cent. Managers now also get performance reports in real time. and Oracle. The software ensures that the new factory can compete effectively in domestic and export markets and will deliver a rapid return on investment for investors. Barclays Bank has been around a while- over 300 years to be exact, and count as one of the Big 4 British banks. Over ten million people have current accounts with Barclays Bank, and they’re served in a little over 2000 branches. Barclays Bank also owns the Woolwich, which means their funds are also behind plenty of mortgages. Barclays employs just under 74,000 people worldwide, although this is gently reducing as technology (and cutbacks) reduce staff. Microsoft Dynamics offers very less response time to help Barclays Bank Pakistan on maintaining excellent customer service quality at call center. Dynamics CRM helps improve customer service by using complaints to track and resolve customer related issues. Complete implementation of case resolution process, and the ways to view and manage cases in Microsoft Dynamics CRM. Trans World Associates (Pvt.) Ltd. (Transworld), a joint venture of Orascom Telecom, Orastar Limited, and Omzest Group, was setup in the wake of the deregulation of the Pakistani Telecom sector with a mandate to operate the first privately owned submarine fiber optic cable system between Karachi – Pakistan, Muscat – Oman, and Fujairah – UAE. Selecting Maison Consulting & Solutions as the partner for implementation of Microsoft Dynamics enabled us not only to implement the Microsoft Dynamics successfully but also to unleash its potential. 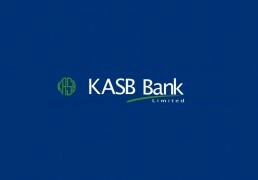 Determined to offer customers a more flexible, personalized service, Pakistan’s KASB Bank deployed Microsoft Dynamics® CRM 4.0 business management software. Microsoft® Gold Certified Partner Maison Consulting & Solutions customized the technology to streamline collections management and integrate it with call center systems. The bank’s customers now benefit from a faster, more efficient service. Olympia Chemicals has established itself as a reliable partner to provide excellent quality Products at the most cost effective price to our valued customers. We have come a long way from a very humble beginning to becoming second largest Soda ash producer in the country and are now on course to another expansion which is in line with our customer’s increasing demand for our product. Maison Consulting & Solutions is more than an ERP consulting company, they have a complete understanding of our business processes and that recipe has made our project very successful.